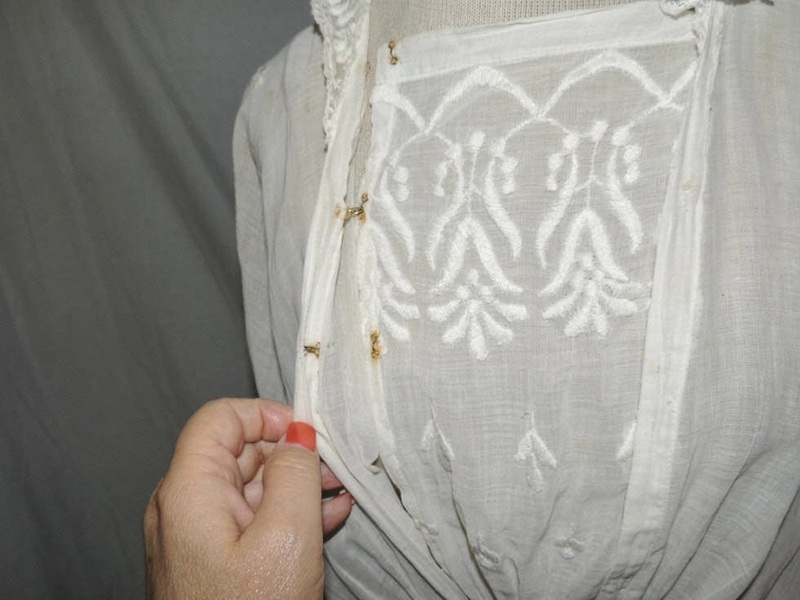 This pretty Edwardian tea dress is made from a semi sheer cotton with a gauze texture. 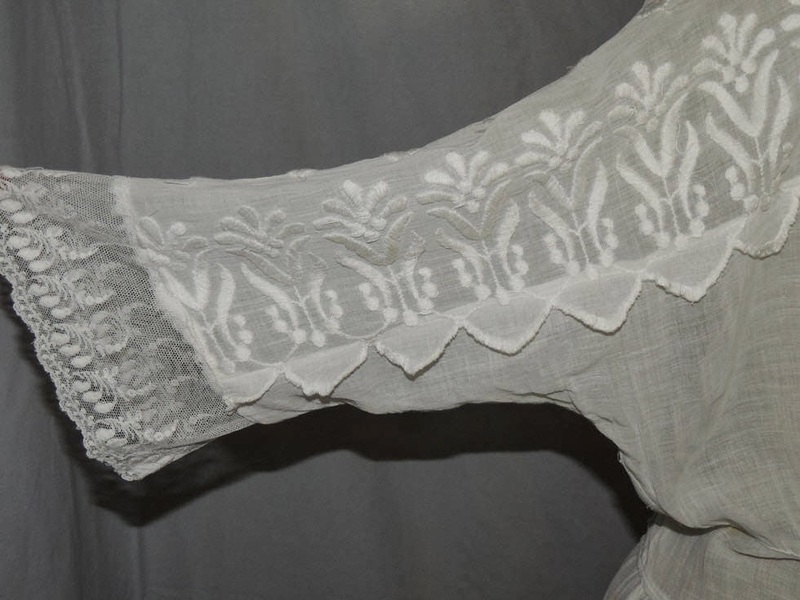 It has dolman sleeves with embroidery and lace, a lace ruffle around the neck and a wide embroidered border around the hem. It needs hooks and eyes and the few remaining are rusty, leaving small rust spots behind them. 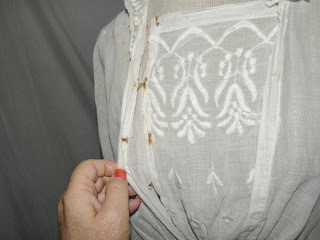 It has ohne very small hole on the back of the bodice, and some worn spots on the front edge where it borders the front panel. Otherwise in very good condition. It measures 28 inches around the waist, bust is approx. 48, hips are full and it's 55 inches long. Nice, simple, late Teens era summer dress.